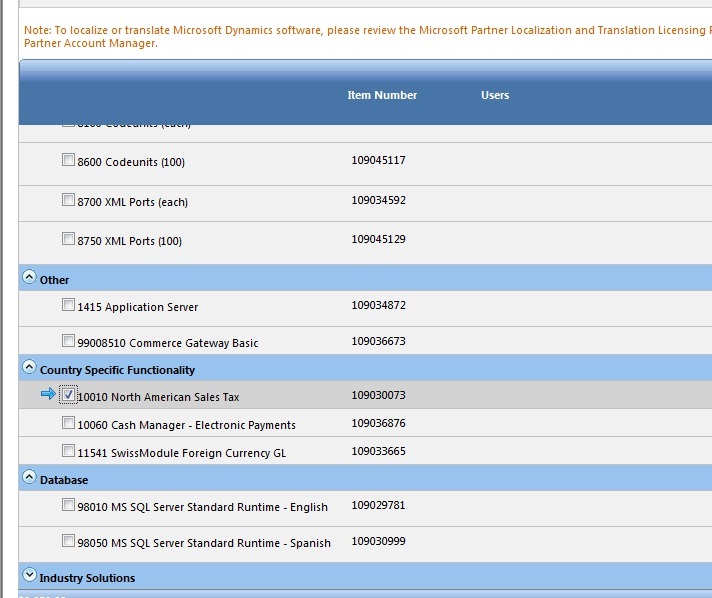 Dynamics NAV Server granule – Where did it go? Notice anything different? That’s right, granule 9100 is no longer there!! I originally thought it was a mistake and clicked back and forth, deleted and re-created the order just to get the granule to pop up. Sensing something good was going on here, I went ahead and processed the order just to see what the license would look like. If it was missing due to a mistake, I can always just write a sales support to the ordering desk and have them add it for me. Happiness! The granule is, as of December 15th 2010, included in the Foundation pack. Now we don’t have to charge the customer extra just to have RTC capability! One question remains though is what about the customers that purchased the granule? How does their enhancement play out? Do they get a credit? I’d be a little upset, not because of the amount of the granule, but because I’m being punished to be an early adopter.